There are many parallels between sport and life. When I sat down to reflect on what I learned from my last race, I realized how much of what I’m learning right now can be applied to other areas of life. 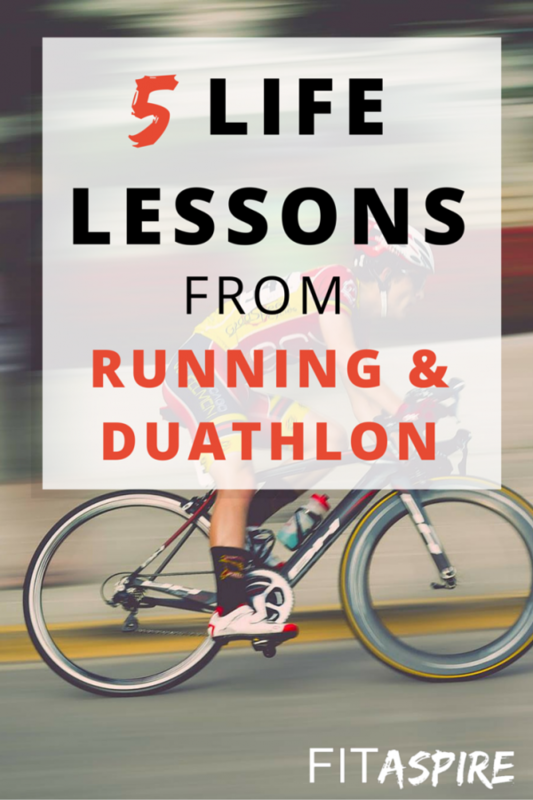 These 5 life lessons from running and duathlon racing highlights a few of the key areas you can apply to your own training and to life in general. This weekend’s race was my first duathlon in two years. Coming back to endurance racing after several years away from consistent training and racing isn’t easy. I love coaching other athletes and helping them reach their goals, but it’s also exciting to be training and racing for myself again! After a race, I take time to reflect on the day and what I have learned. Today I want to share 5 lessons that you can take and apply to either your next race – or your work, family, and other areas of your life! Mental toughness is learning how to deal with difficult situations and emerge without losing confidence. It’s your response to the challenge of an obstacle, so that you can come out the other side strong. Do you let the issue shake you and bring you down, or adjust your approach and push through successfully? You have an opportunity to practice this during most races – when things get tougher. In my first half marathon this season, I failed this test. It was hard, I was hot, there was more hills than they advertised, I didn’t have my speed back, my pace was too slow, what’s the point… That spiral of mental thoughts pulled me down quickly and I couldn’t pull it back out. In my duathlon this weekend, I was better prepared. When a negative thought entered my mind, I shifted my focus to a positive one. I am strong, my breathing is good, focus on your cadence, I can push a little faster, you’re doing great… Completely different mental track to help you keep moving forward. Think about this in your daily life. Things get tough at work, at home, or as you’re going about your day. How do you respond. Do you let that incident spiral into one thing after another and pull you down? Or do you deal with the issue and approach the problem positively for the best possible outcome? 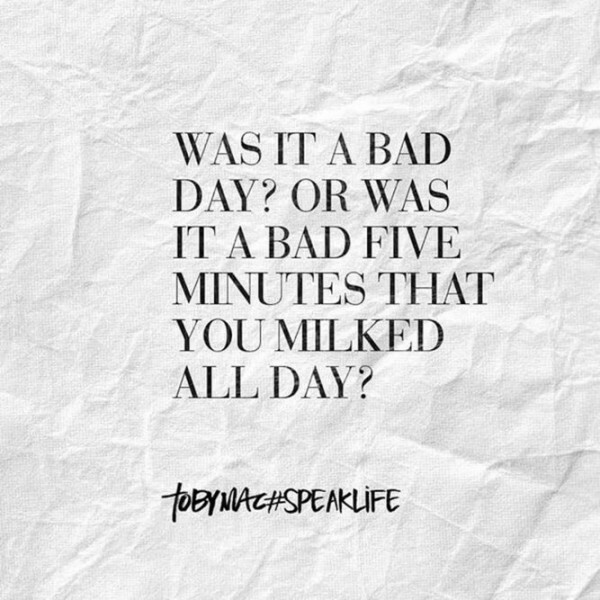 Your attitude has a pretty big role to play in these situations. Making friends can be difficult, but at a race you can start up a conversation with a perfect stranger at the start and encourage each other at the finish line! Community is a feeling of fellowship, based on sharing common attitudes, interests, and goals. That sure is the case when you’re all racing together. When you’re at a race, the participants have all paid a fee for the opportunity to work hard. We have all put in hours, weeks, months, or years of training to be there. We’ve made sacrifices to be as prepared as possible and we want to feel a sense of accomplishment at the finish line. No wonder we immediately strike up a conversation with the person next to us in the starting corral or while setting up transition. It’s a nice reminder that sometimes it’s not as hard to make friends – we just need to hang out with people who enjoy the same things we do. I am a firm believer that you can accomplish (almost) everything you want in life. But that doesn’t happen without putting in the work along the way. Racing allows you to see that played out every time you cross the start line. The dedication happens long before race day. It’s the effort you put into choosing the right training plan, the decision to work with a coach (or not), scheduling your workouts, sticking with your plan, adjusting your training based on your progress, fueling your workouts with good nutrition, focusing on recovery, and all the other little pieces that goes into training. Once you get to the race, you put that work (or lack of work) to the test. If you made good decisions and were consistent in your training, your chance of success (and the race results you are looking for) is much higher. 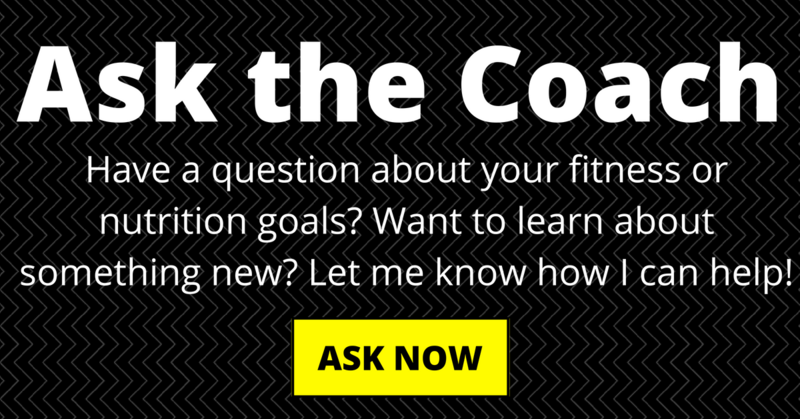 If you skipped more workouts than you’d like to admit, things might not lead to the results you want. Now sometimes you just have a bad race, but that’s your chance to learn and prepare better for the next race! “Dedication leads to results”: 7 life lessons from #running and #duathlon. We will all deal with plenty of failure and success in our lives. It’s something we’ve been dealing with since we were kids. But we don’t always handle either situation with the grace we want to. Or at least I don’t! Racing gives us the opportunity to practice our response to either situation. When you don’t hit your goal, it’s a chance to practice being a “good sport”, instead of being a “sore loser”. Even when things didn’t go according to plan for you, take the time to congratulate other participants and celebrating their success. Cheer for those finishing after you cross the finish line. The same goes for the days when you do reach your goals! Celebrate your success, but make sure you take the time to celebrate the success of others around you too. Cheer in the other participants, congratulate those who didn’t meet their goals on what they did accomplish – in general be a gracious winner. There are always twenty things vying for our attention at any given time. If you try to focus on all twenty things at once, you’ll be distracted and pulled in all those directions. It’s hard to move in one direction with so many things pulling you in multiple directions. But we all try, don’t we! During a race, it’s the same. So many things you could focus on, but the goal is to move forward to reach that finish line. Choosing your focus, can be tricky. 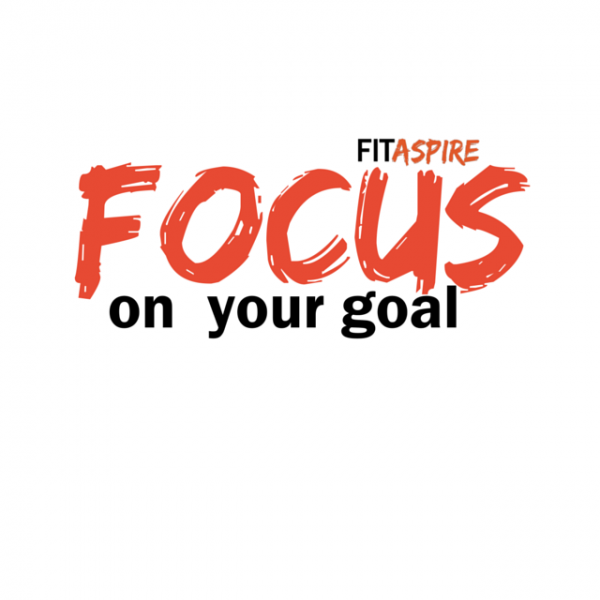 But if you have that focus to pull you toward your goal – it can help you get there faster. What do you focus on? It could be your form, working to keep that as efficient as possible. Maybe you’re focusing on your breathing and keeping that steady and consistent. Or choosing a person in front of you and slowly reeling them in – gaining momentum and confidence in the process. Choose the focus that best serves you and adjust that when it’s not serving you any longer. But don’t be distracted by all 20 things at once to help you make the best forward progress. What life lessons would you add to this list?